This year’s antibiotic campaign started on Monday 8 October. Add messages and resources to your practice or pharmacy website and Twitter account. Become an Antibiotic Guardian each year. Print and display your certificate. (file, options, mail, compose messages, create or modify signatures, e-mail signature tab). Paste the image into the dialogue box. Re-size as necessary. A range of leaflets for patients is available from the Royal College of General Practitioners TARGET Antibiotics Toolkit page. This toolkit provides a set of resources to help promote the most appropriate use of antibiotics in dental care. Poster to display from PHE. Self-audit tool from FGDP(UK) and BDA. Royal Pharmaceutical Society resources, including the pharmacy contribution to antimicrobial stewardship. A practical guide for staff on managing cases of infectious diseases in schools and other childcare settings. Out of hospital management of UTIs in elderly patients. A survey by the Royal Pharmaceutical Society has found that 84% of British adults don’t wash their hands for long enough. A guide on how to wash hands is available from their website. NICE recommends that people should be given supporting information about antibiotic strategies, infection severity and usual duration (KTT9). Do not issue repeat prescriptions for antimicrobials unless patient has a particular clinical need. Avoid issuing repeat prescriptions for longer than 6 months without review. 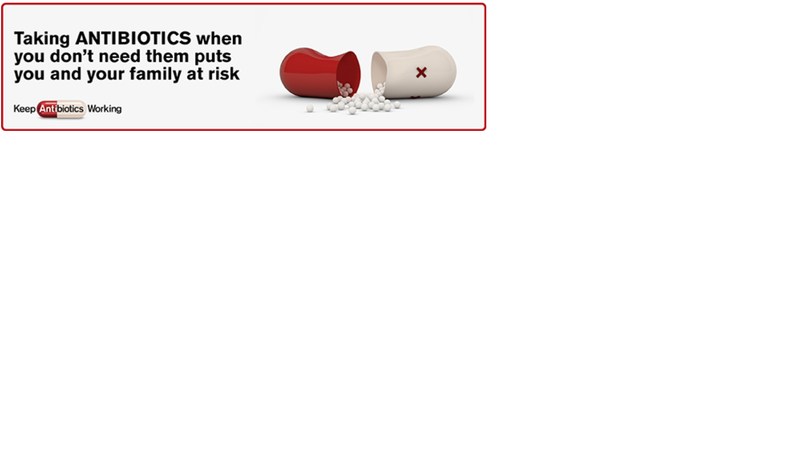 Monitor patients to reduce risk of side effects and check if antimicrobial is still needed (NG15). Self-care includes resting, drinking plenty of fluids and taking over-the-counter preparations for symptom relief if necessary. Promote community pharmacies as easily accessible places to obtain advice on managing self-limiting infections. Give people information on the importance of hand-washing (NG63). Delaying or withholding antibiotics in older adults with UTIs was associated with an increased risk of bloodstream infection and all-cause mortality according to a study in The BMJ. UK GP data (2007 to 2015) on 157,264 adults aged 65 years and over who experienced a total of 312,896 UTI episodes was studied. 7.2% of patients were not treated with antibiotics and 6.2% received a delayed antibiotic prescription within 7 days of diagnosis. Compared with receiving immediate antibiotics, the risk of bloodstream infection within 60 days was raised eight-fold with no antibiotics and seven-fold with delayed antibiotics. The risk of all-cause mortality was also significantly increased by 118% and 16%, respectively. The authors said that their results suggested that delaying or withholding antibiotics may not be an appropriate strategy in this age group. BMJ article about what works and what doesn’t. 79 UK general practices were included in this trial (582,675 patient years). Practices were randomised to an antimicrobial stewardship intervention or usual care. Decision support tools were put into practice software to provide patient information sheets. Each practice identified a GP as a champion. The primary outcome was the rate of antibiotic prescribing for respiratory tract infections (RTIs)/1,000 patient years over the 12 month intervention. The adjusted rate ratio for antibiotic prescribing for RTI was 0.88 (95% confidence interval 0.78 to 0.99, P=0.04). Adjustment were made for covariates including age and comorbidities. Safety outcomes included the number of serious bacterial complications. The authors saw no evidence to suggest that bacterial infections were more frequent in the antimicrobial stewardship arm. A linked editorial notes that the trail only used practice level prescribing data. Providing clinician level data would have been preferable. Feedback is important, including comparing with peers. An English prospective cohort study looked at 8,320 children presenting in primary care with acute cough/other respiratory symptoms. A secondary analysis shows modelling used to estimate the effect of antibiotic prescribing on adverse outcomes within 30 days (subsequent hospitalisations and re-consultation for deterioration), 65 (0.8%) children were hospitalised and 350 (4%) re-consulted for deterioration. Immediate and delayed antibiotics were prescribed to 2,313 (28%) and 771 (9%), respectively. Compared with no antibiotics, there was no clear evidence that antibiotics reduced hospitalisations (immediate antibiotic RR 0.83, 95%CI 0.47 to 1.45; delayed RR 0.70, 95%CI 0.26 to 1.90, overall P=0.44). There was evidence that delayed antibiotics reduced re-consultations for deterioration (immediate RR 0.82, 95%CI 0.65 to 1.07; delayed RR 0.55, 95%CI 0.34 to 0.88, overall P = 0.024). This study used primary care data from 2013-2015. The most common reasons for antibiotics being prescribed were acute cough and bronchitis, acute sore throat, AOM and acute sinusitis. Antibiotic treatments for upper respiratory tract indications and acute cough and bronchitis accounted for > 2/3 of the total prescriptions considered, and 80% or more of these treatment courses exceeded guideline recommendations. The median number of days beyond the guideline recommendation was 2 (5th-95th centile 2-3 days) for acute cough and bronchitis, 2 (2-8) days for acute otitis media, and 3 (1-7) days for acute sinusitis. Moment 2 asks: “Have I ordered appropriate cultures before starting antibiotics? The Drug and Therapeutics Bulletin notes that there is a perception of greater potency of IV antibiotics which may prevent prompt switching to the oral route. There is need to balance actual benefit of the IV route against the known risks. Hospital antimicrobial policies should include a recommendation that IV antibiotics are targeted at patients who are severely ill, unable to tolerate oral treatment, or where oral therapy would not provide adequate coverage or tissue penetration. Clinicians are encouraged to review antibiotic use after 48 hours and to consider switching from IV to oral as soon as possible. Does shared decision-making reduce antibiotic prescribing in primary care? Data from electronic health records of 8,192 adult patients in general practices in Holland were used to assess illness episodes for acute cough, acute rhinosinusitis and urinary tract infection. In practices where more shared decision making took place, GPs prescribed fewer antibiotics for patients < 40 years in situations where antibiotics could be considered according to clinical guidelines. For people with respiratory infection, how do delayed compare with immediate or no antibiotic prescriptions? Compared with immediate antibiotics, delayed antibiotics for people with respiratory infection led to a decrease in antibiotic use (on average, 348 vs 930 per 1,000 people). There were no apparent differences between groups in cough, patient satisfaction, or rates of re‐consultation. Compared with no antibiotic, delayed antibiotic resulted in an increase in antibiotic use (on average, 287 vs 137 per 1000 people). However, more people were satisfied with delayed antibiotic (on average, 875 vs 824 per 100 people). Results show no apparent differences between groups in pain, fever, or antibiotic‐related adverse events. A review found that antimicrobial stewardship programmes alone may reduce overall antibiotic resistance by 19% (incidence ratio [IR] 0.81, 95% confidence interval [CI] 0.67 to 0.97). Combining stewardship programmes with procedures for controlling infection appears to reduce antibiotic resistance by 31% (IR 0.69, 95% CI 0.54 to 0.88). Combining stewardship programmes with hand-hygiene appears to be the most effective combination, reducing antibiotic resistance by 66% (IR 0.34, 95% CI 0.21 to 0.54). These programmes also reduced the incidence of multi-drug resistant gram-negative bacteria and extended spectrum beta-lactamase producing gram-negative bacteria such as E. coli. A systematic review (53 studies with more than 1,200 primary care participants) looked at interventions around antibiotic prescribing for acute respiratory tract infections. Primary care professionals were most likely to accept interventions that they perceived as supportive: those that supported clinical decision making and enhanced their interactions with patients. Interventions were viewed in different ways by different sorts of health care professionals. A UK general practice cohort study looked at lower respiratory tract infection in 28,883 patients aged 16 and over. 104 (0.4%) were referred to hospital for radiographic investigation or admission, or both on the day of the index consultation, or were admitted with cancer. Of the remaining 28 779, subsequent hospital admission or death occurred in 26/7332 (0.3%) after no antibiotic prescription: 156/17 628 (0.9%) after prescription for immediate antibiotics; and 14/3819 (0.4%) after a prescription for delayed antibiotics. Analysis found no reduction in hospital admission and death after immediate antibiotics and a non-significant reduction with delayed antibiotics. Re-consultation for new, worsening, or non-resolving symptoms was common (1443/7332 (19.7%), 4455/17 628 (25.3%), and 538/3819 (14.1%), respectively) and was significantly reduced by delayed antibiotics but not by immediate antibiotics. The authors concluded that if clinicians are considering antibiotics, a delayed prescription may be preferable to an immediate prescription. “The most important findings were that serious adverse events such as death or hospital admission are rare in people with acute cough and that an immediate antibiotic prescription is not associated with a significantly reduced risk. Strategies of no prescription or delayed antibiotic prescription resulted in fewer than 40% of patients using antibiotics, and are associated with less strong beliefs in antibiotics, and similar symptomatic outcomes to immediate prescription. If clear advice is given to patients, there is probably little to choose between the different strategies of delayed prescription. Cohort of 12,829 adults presenting with sore throat (≤2 weeks duration) in primary care – suppurative complications are not common in primary care and most are not serious. The risks of suppurative complications or re-consultation in adults are reduced by antibiotics, but not as much as the trial evidence suggests. In most cases, no antibiotic is needed, but a delayed prescription strategy is likely to provide similar benefits to an immediate antibiotic prescription. WHO Antimicrobial Stewardship: a competency based approach. Health Education England e-learning on antimicrobial resistance. Target training resources. These include antibiotic resistance, urinary tract infections, sexual health, skin. Online courses at Future Learn. These include ones about antimicrobial resistance. 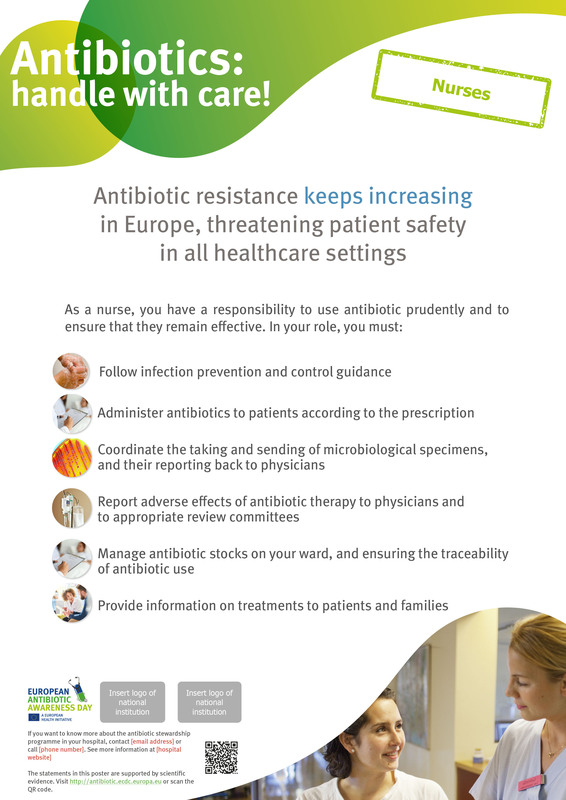 Education and training section in Antimicrobial Resistance Resource Handbook. These include infection control and antimicrobial stewardship. 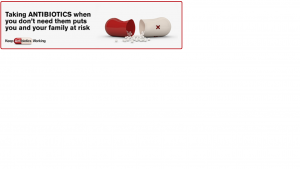 NECS e-learning: antibiotic prescribing and antimicrobial stewardship in primary care. For the pharmacy workforce (CPPE). These include antibacterial resistance, antibacterials. e-Bug has learning resources for children and young people. TED-Ed – What causes antibiotic resistance? House of Commons Health and Social Care Committee – new report on antibiotic resistance highlights that prevention is key – including vaccination, cleanliness and reducing antibiotic usage. ESPAUR report – English surveillance. 2018 report now available.